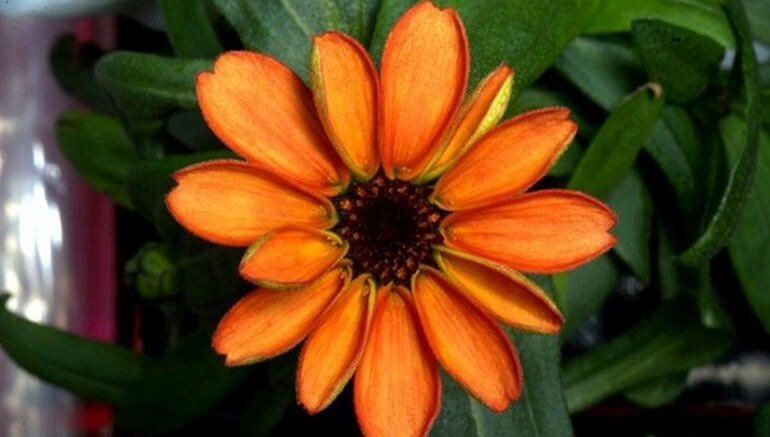 This bright orange flower right here is the first flower to ever bloom in space. 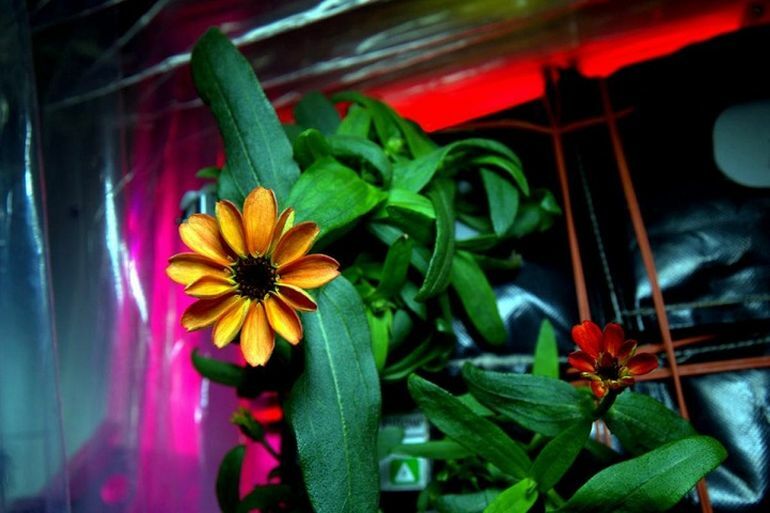 While researchers in the past have grown salad greens, like lettuce, in microgravity, this new achievement marks the first successful attempt to grow flowering plants in space. 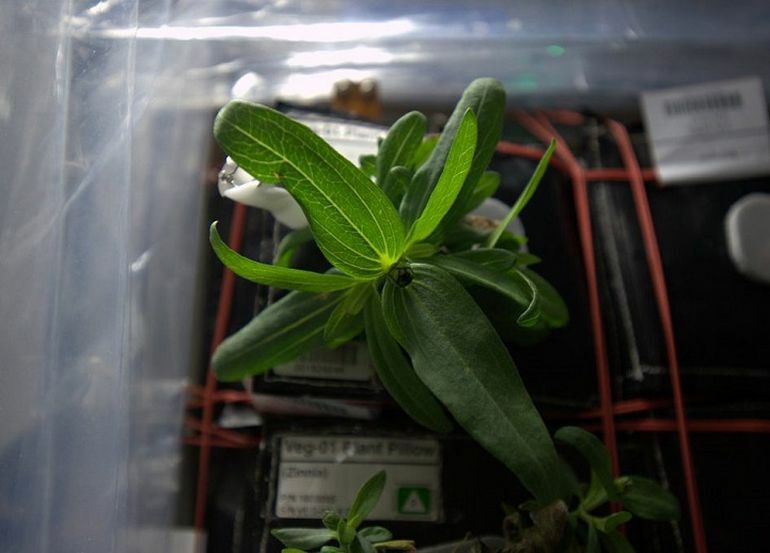 Conducted by astronauts currently aboard the International Space Station, the experiment is part of a year-long mission aimed at studying the effects of zero gravity on plant growth, and is a definite step forward in our goal to create life-sustaining space gardens. The images were recently tweeted by ISS cosmonaut Scott Kelly, who along with Russian astronaut Mikhail Korniyenko embarked on a mission last year to document the effects of long-term space travel on a person’s health. It was during the same time that NASA scientist Kjell Lindgren started experimenting with space farming. According to the researchers, harvesting flowering crops, like zinnias, in micrograviy is tricky, requiring the perfect set of conditions to facilitate its growth. Using techniques originally developed as part of NASA’s now-famous Veggie program, the team harvested the edible zinnias, from pods containing a specially-created mixture of seeds, fertilizer, water and clay. To accelerate the process, the scientists placed the pods under powerful LED bulbs. In the year 2017, a group of NASA astronauts will be making use of a similar approach to grow tomatoes in space. To know more about the experiment, head over to NASA’s website.